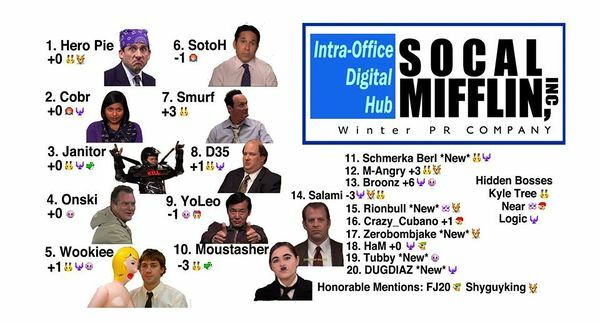 The SoCal Power Rankings, abbreviated SCPR, is a list compiled by a pre-selected panel which lists the most powerful players of Southern California. While most Power Rankings are divided to the state level, California is divided into northern and southern portions. After much debate over the community over the competitiveness of Brawl, the Socal Smash community effectively split, with many choosing to either play Brawl, Melee, or quit the scene entirely. The Melee Power Rankings had died as a result. 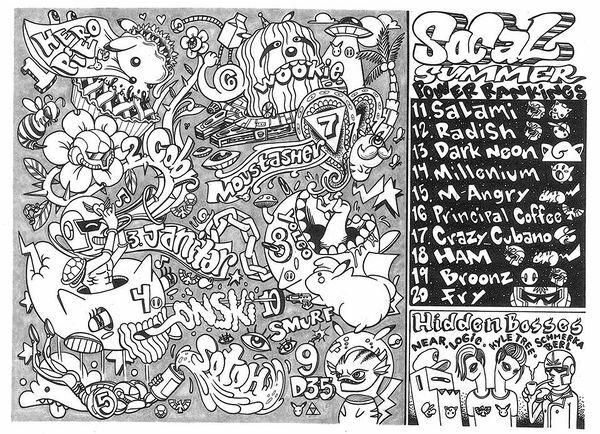 A new panel was eventually made in late 2008 by Mango and the remaining Melee community to reintroduce the competitiveness that the old power rankings created. 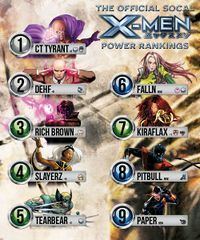 The new list and community has thus drastically changed, giving both the Pre-Brawl and Post-Brawl Melee Power Rankings a notable distinction. Since the release of Smash 4, the Brawl rankings have transitioned into ranking players of that game. 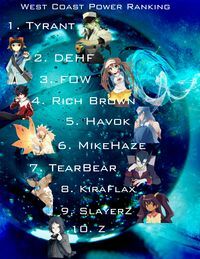 The SoCal Super Smash Bros. Brawl power rankings were initially posted on it's SmashBoards thread, but were later moved to the SoCal Brawl Community Facebook group. Fiction was removed due to inactivity, while DieSuperFly requested to be taken off the list since moving to central California. This page was last edited on April 3, 2019, at 14:22.